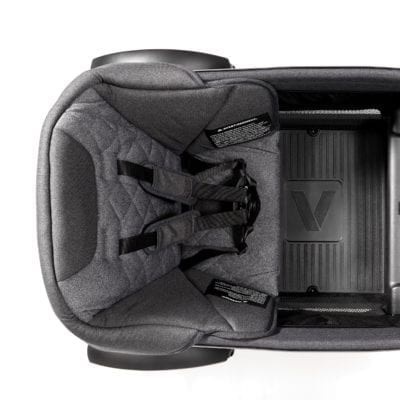 Veer's Comfort Seat for Toddlers easily inserts into the Cruiser's standard seat to provide cushioned comfort and support. 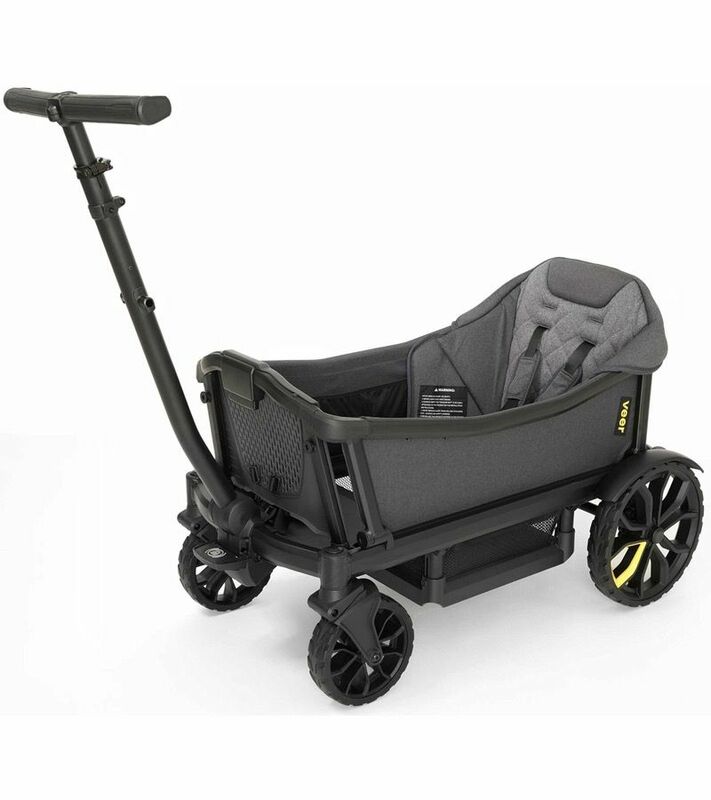 It is designed for children from 6 months up to 35 lbs. It includes a 5-point harness for safety. 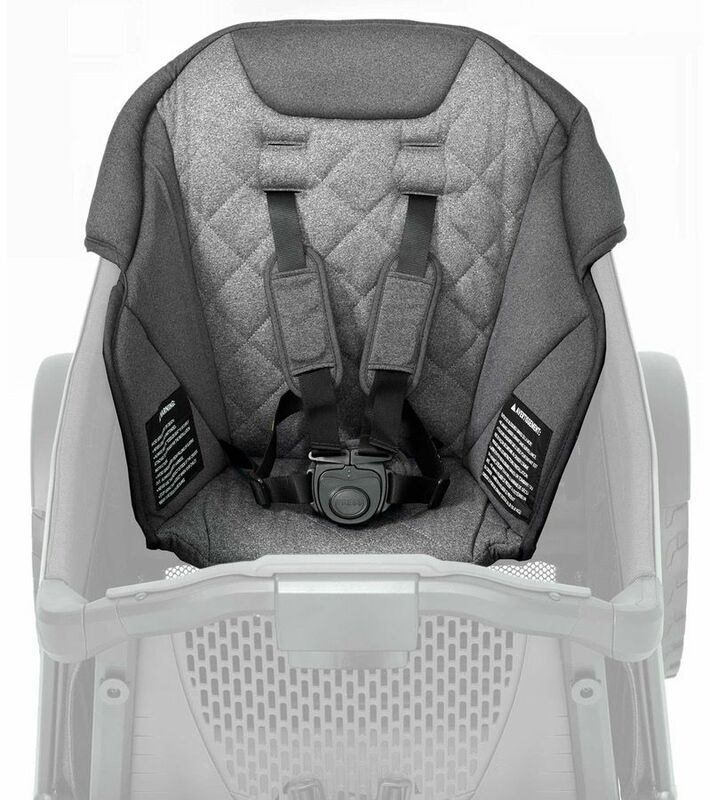 Soft, padded fabric creates an ultra-comfortable seat and head rest. Hidden magnets on the side wings ensure an easy, snug fit with the side walls. Two Comfort Seats can be used simultaneously (one on each seat). 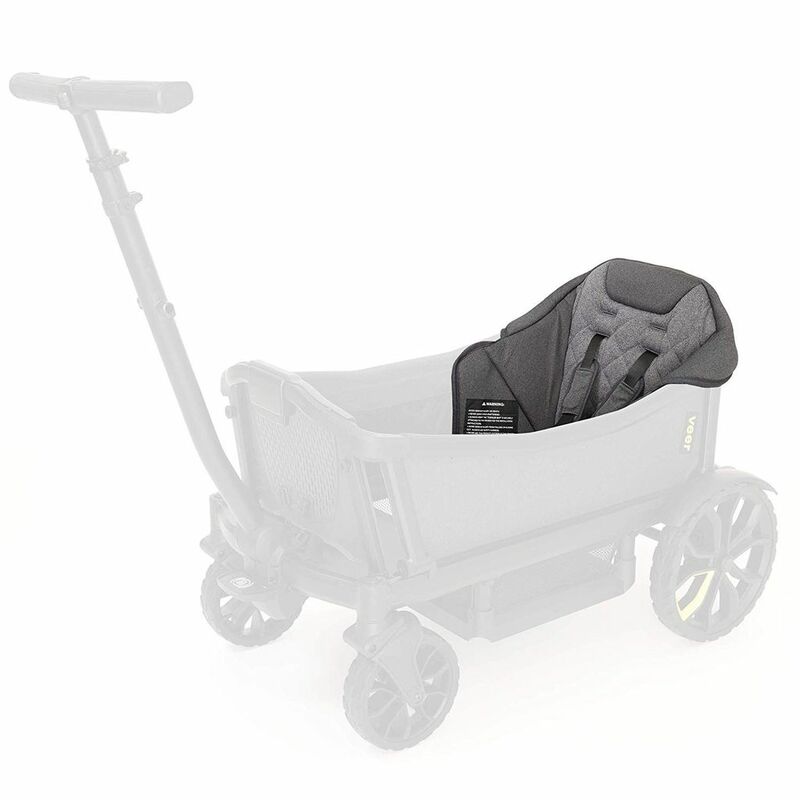 Cruiser will fold when using one Toddler Seat. Comfort Seats can also be used with Veer’s Retractable Canopies.